With the trade deadline now just over a week away, activity has started to pick up around the NHL. Rumors of major trades continue, but so far just a few deals have been completed. Lafreniere To Stay In CHL: Potential 2020 first-overall pick Alexis Lafreniere set the record straight after rumors were circulating that the 17-year-old may opt to sign a contract overseas and follow the footsteps of Auston Matthews who played his draft year in the Swiss NLA. Lafreniere’s agent, Momentum Hockey Agency, released a statement making it clear that while the young talent did look into playing overseas, he and his family decided to stay in the CHL with Rimouski Oceanic of the QMJHL where he’s played the last two years, having totaled 74 goals and 172 points in 110 games. At 6-foot-1, he already has the size and proven ability to play in a professional league, but he will stay put for one more year. Pastrnak, Maatta Injured: The Boston Bruins and Pittsburgh Penguins each took a hit to their team when each team lost a significant player to injury. The Boston Bruins lost David Pastrnak for a minimum of two weeks after he underwent thumb surgery on Feb. 12 after he fell at a team function. The Bruins, who are fighting with the Toronto Maple Leafs for the second spot in the Atlantic Division won’t be helped even if its for a few weeks without Pastrnak, who is the team’s leading scorer with 31 goals as well as 66 points, second on the team. The Penguins also took a hit on their blueline when they placed Olli Maatta on injured reserve with an upper-body injury that would sideline him indefinitely. The team was getting back Justin Schultz from injury at the time, but the team was looking forward to getting back a fully healthy defense, which now they won’t have for some time. To make matters worse, the team had recently dealt away Jamie Oleksiak to make room for Schultz, leaving the team with a lack of depth all of the sudden. Wild Owner Approves Selling: Just hours after Minnesota Wild head coach Bruce Boudreau guaranteed that the Wild would make the playoffs, Wild owner Craig Leipold announced that he has given general manager Paul Fenton the green light to sell off some of the team’s players in advance of the upcoming trade deadline. With the team dropping four straight and having a 2-5-3 record in their last 10 games, it might be time for Fenton to make his mark on this team after being hired this summer to fix the team’s inability to advance deep into the playoffs. Among the numerous players who could be shipped off include pending unrestricted free agent Eric Staal as well as Charlie Coyle, who still has one more year on his deal. There are also a number of bottom six players who could be moved as well, including Eric Fehr, Matt Hendricks, Brad Hunt, Matt Bartkowski and Anthony Bitetto. 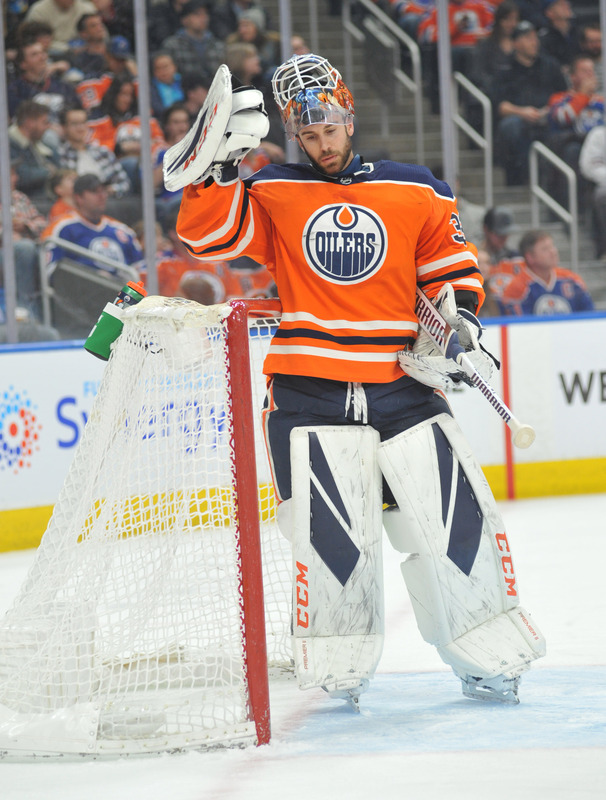 Philadelphia’s Hart Gets A Mentor: The Philadelphia Flyers finally consummated a rumored trade in which it acquired Edmonton Oilers goaltender Cam Talbot for Anthony Stolarz. While Edmonton freed themselves some much needed cap room as Talbot was making $4.17MM, the Flyers got themselves what they hope will be a long-term veteran who can mentor their prized rookie Carter Hart for the next few years. 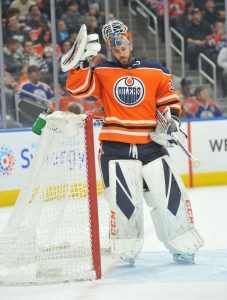 Talbot, who was already familiar with Hart before, waived his no-movement clause to come to Philadelphia and made it clear that he was open to signing a new contract before July 1 to remain with the team. Ottawa Intends To Trade Duchene: The Ottawa Senators have stopped in their attempts to sign Matt Duchene to an extension and have indicated to all teams that they intend to trade the 26-year-old center. According to reports, the Senators have shifted their focus of signing Duchene to making a full effort to locking up Mark Stone to an extension. Stone may have a day or two to make up his mind on whether he is willing to sign an extension or he too, will be made available to the league with the intention of selling them off at the trade deadline. Already there has been rumors that the Nashville Predators, the Columbus Blue Jackets and the New York Islanders have expressed serious interest in acquiring the center with more suitors likely to join in before the upcoming trade deadline on Feb. 25. The Minnesota Wild have added another depth defenseman in their search to change their fortunes this season, claiming Anthony Bitetto off waivers from the Nashville Predators according to Elliotte Friedman of Sportsnet. Bitetto obviously has ties to Minnesota GM Paul Fenton, who was with Nashville when the defenseman was drafted in 2010. Claiming Bitetto actually may have a real impact on some of the other players vying for spots on the Wild, given how full their roster will now be. The team is expected to activate Eric Fehr within the next few days, meaning that there isn’t any room for the recently demoted Luke Kunin and Joel Eriksson Ek. Someone else would have to go, and likely face waivers themselves. Bitetto’s claim also is a bit of a head-scratcher given the depth the Wild already have on defense after trading for Brad Hunt recently. The team is now carrying eight defenders with Matt Dumba on injured reserve, but have others like Louis Belpedio and Ryan Murphy in the minor leagues who could fill in if necessary. The claim doesn’t cost them much of anything though given Bitetto’s minimum salary contract, and perhaps they can sneak him through waivers themselves in a few days. Nashville at that point would have a chance to reclaim him. Even as the NHL breaks for the All-Star festitivies, front offices are hard at work. Today according to CapFriendly, the Nashville Predators have placed Anthony Bitetto on waivers. The Predators are carrying eight defensemen at the moment and none of them are waiver-exempt, so if someone was going to go down it makes sense that it would be Bitetto. The 28-year old has played just 18 games this season and is averaging fewer than 11 minutes in those appearances. It seems unlikely that he would be claimed, meaning that he can be at the ready for the team in the minor leagues or just give them a little more last minute flexibility in the NHL. Bitetto is on a one-year minimum salary contract and will be an unrestricted free agent in the summer. His NHL career consists 114 games and 19 points, while possession statistics reflect very poorly on the veteran minor league defenseman. In a long notebook with many takes, The Athletic’s Eric Duhatschek (subscription required) points out that assuming that Seattle does acquire an expansion team that starts in the 2020-21 season, realignment will have to happen as it’s highly unlikely Seattle will end up in the Central Division, which is the division that’s short one team. Duhatschek suggests the smartest way to fix the divisional problem when/if Seattle gives the NHL a 32nd team, would be to move the Colorado Avalanche to the Pacific Divison and then move both the Calgary Flames and Edmonton Oilers to the Central Division. Geographically, that would make the most sense, although neither Edmonton or Calgary would make a great fit in the Central. One other possibility would be that by 2020-21, the Arizona Coyotes may have decided to move away and relocate. That could also fix the problem, but only time will tell. Adam Vingan of the Tennessean writes that Nashville Predators defenseman Ryan Ellis has been practicing with the team and could return within the next couple of weeks. The 26-year-old stud defenseman has been out after knee surgery this summer. Vingan also writes that despite their solid defense, it’s likely the team will have to make a move with Matt Irwin and Anthony Bitetto the most likely candidates to be sent to the Milwaukee Admirals. Since the return of Yannick Weber a week ago, Irwin has been scratched twice, while Bitetto once. Patrick Johnston of The Province writes that Vancouver Canucks winger Sven Baertschi, who took a puck to the face during last night’s game against the Calgary Flames, will return home to Vancouver rather than continue with the team on their current roadtrip. While there are no details on the severity of the injury, Johnston said the angle of the shot and its velocity would suggest the injury could be significant as he has already been ruled out for the team’s game against the Winnipeg Jets on Monday. The 25-year-old has struggled lately on offense, but is still third on the team with eight goals this year. Sarah McLellan of the Star Tribune tweets that veteran Zach Parise and defenseman Jared Spurgeon are skating and may just be a couple of weeks away from returning to the team. Parise, who underwent back surgery in October, hasn’t played all year. He scored 19 goals and had 42 points last year for the Wild and was counted on to be a key contributor. Spurgeon has been out since Dec. 1 with a groin strain. He has three goals and 12 assists in 23 games this season. The Arizona Coyotes will play in their 21st road game of the season tonight when they face the Chicago Blackhawks tonight. The Coyotes will be the first team in NHL history to play 21 road games within the first 66 days of the season, according to NHL.com’s Dave Vest. Mike Chambers of the Denver Post tweets that defenseman Erik Johnson is fine after blocking a shot late in Saturday’s game against the Florida Panthers. He is expected to play Monday against the Pittsburgh Penguins. A team that is designed for a Stanley Cup run probably shouldn’t have too many players on entry level contracts and the Predators have just the two. Fiala is the team’s top young potential star as the former 2014 first-rounder found himself getting called up to the Predators and logged 54 games last year, scoring 11 goals. He even managed to cement himself in the starting lineup and played in five playoff games, scoring two goals, but then broke his femur and his playoffs were cut short. Nevertheless, the team is expecting a big year from the young wing and some even have him penciled in on the team’s second line. As for Saros, the 22-year-old goalie had a pretty good showing last year, playing in 21 contests (19 starts) and putting up a 2.35 GAA and a .923 save percentage. He should be able to shoulder the load as the backup and right now looks to be Nashville’s goaltender of the future. The team, already immersed in quality defenders, picked up another veteran defender in Emelin this offseason in a trade with the Vegas Golden Knights, who picked him from the Montreal Canadiens in the expansion draft. A solid veteran, Emelin, should fill in for the injured Ellis until he returns in December and then provide some veteran depth throughout the rest of the season, which should keep Nashville’s defensive corps as strong as it had always been and he will likely be allowed to move on when his contract expires next year. Two years from now, Rinne’s who has been with the franchise since 2005, will be 36 years old and while he’s still playing well, he’s also beginning to slow down. Do they have an heir apparent ready to take over in Saros? It’s too early to tell, but unless he’s playing out of his mind still in two years, the team will most likely have to find a replacement in net. However, the team hopes he can keep it together for another couple of years for another chance at a Stanley Cup run. Ellis went down with a knee injury during the playoffs, but continued to play. However, after offseason knee surgery, the 26-year-old defender will be out until January. Regardless, the defenseman is an outstanding defender and was listed by NHL.com as one of the top 20 defenseman in the league last year. His offensive numbers continue to improve as well as he had career highs with 16 goals and 38 points. Even with the injury, his $2.5MM deal for two more years is a bargain. Aberg and Sissons are both restricted, so re-signing them shouldn’t be too big of a problem. Both are depth players with potential as Aberg has had little NHL experience, but scored 31 goals last year for the AHL’s Milwaukee Admirals. He then got into 15 games for the Predators, scoring two points, but took off in the playoffs, putting up two goals and five points in 16 games. Sissons had just eight goals in 58 games last year, but then put up 12 points, including six goals in the playoffs, so the 23-year-old could be a player who could have an improved year. The 28-year-old Smith has been with Nashville from they day he was drafted in 2009 and he developed into a solid 20-goal scorer. In 2015, after scoring 47 goals in two years, he was rewarded with a five-year, $21.3MM deal. After a 12-goal season last year, his deal looks like one of the team’s worst deals. The team hopes he bounces back and returns to form. Josi, on the other hand has been one of the top defensemen in the league and is a bargain at $4MM per year. At 27 years old, Josi puts up big numbers and while last year’s numbers of 12 goals and 37 assists were below his usual standards, he made up for it with strong defense. Watson still has much to prove, but is likely to hold onto a fourth-line position this year. He only had 17 points in 77 games, but was a scorer with the AHL’s Milwaukee Admirals and at age 25 has time to develop his skills. Like a high-end general manager David Poile has locked up all his talent long-term with the idea of making long playoff runs the norm in Nashville. While Subban is already half-way through the eight-year, $72MM deal he signed in Montreal in 2014, he is the physical presence the team’s defense needs. He had 10 goals and 40 points, but was always there to shut down the other team’s top offensive player. Johansen just received his eight-year, $64MM deal in July and he did that with 14 goals and 47 assists last year. The team’s number one center added another three goals and 10 assists in the playoffs until he had to undergo emergency thigh surgery. Forsberg has also been a key scorer for the team as the 23-year-old scored 31 goals last year and 90 goals in the past three seasons. A first-round pick in 2012, he is an integral piece to the team’s top scoring line along with Arvidsson, who is also locked up long-term. The 24-year-old had a breakout season last year, putting up 31 goals and 30 assists. He only had 16 points in 58 games a year ago. The team went out and stole Bonino away from the Stanley Cup winning Pittsburgh Penguins. The 29-year-old gritty center had 18 goals and 19 assists for the Penguins a year ago, but $4.1MM a year for a 18-goal scorer seems exorbitant, assuming he even can be a second-line center. Ekholm is another quality defender on the team, who will have to pick up the slack with Ellis out, but the defensive defender is a key piece to the team. Jarnkrok’s long-term, short-money deal seems nice for a 25-year-old who has scored 31 goals combined in the last two seasons. If he can take it up one more notch, they will have themselves a steal. Poile has done an excellent job of putting together a team that can make a long run at a Stanley Cup. They have the defense and the firepower to do that, as well as the fact that almost everyone is locked up for three years or more. They do have a limited time with Rinne in goal, but besides that the team should prove to be a perennial contender for the next few years. When the Nashville Predators acquired former Montreal Canadiens defenseman Alexei Emelin at the NHL Draft from the Vegas Golden Knights, who had just selected him in the Expansion Draft days earlier, it was clear that the team would have a logjam on the blue line entering 2017-18. The roster already boasts a top four that can rival any in the league in Roman Josi, P.K. Subban, Ryan Ellis and Mattias Ekholm, and adding yet another prominent name to the mix meant another regular for the Western Conference champs could be pushed out. Instead, GM David Poile told Adam Vignan of The Tennessean that the Predators will carry eight defenseman, at least to start the year. With Josi, Subban, Ellis, Ekholm, and Emelin locked into regular roles – and making up only a modest $22MM of cap space – the final spot in the starting six will belong to one of Yannick Weber, Matt Irwin, or Anthony Bitetto. Weber and Irwin were the team’s bottom pair for much of the 2016-17 season and each signed an extension during the year, while the younger Bitetto skated in 29 games and helped to make up for the loss of Subban while he was sidelined. There’s no clear choice between the three, but by carrying the entire trio, Poile and coach Peter Laviolette have the flexibility to mix and match until they find the best fit. Making this decision easier are the cap hits for Weber, Irwin, and Bitetto. Despite being regular contributors to a team that nearly won the Stanley Cup, Weber and Irwin are both journeyman veterans who have had up-and-down careers and thus settled for one-year extensions worth the league minimum of $650K. Bitetto, who had only just completed his first real NHL season in 2016, signed a two-year, 1.225MM contract, which will pay him $612.5K in 2017-18, even less than Weber and Irwin. Thus, the entire trio will cost Nashville under $2MM, making the decision to keep a fourth pair all the more simple. How everything shakes out on the Predators’ blue line remains to be seen, but their eight-man group will surely be the envy of most teams in the NHL this season. UPDATE (6/11): Despite concerns over his health and a lack of any information at all leading up to the game, Ryan Ellis will indeed play in Game Six in Nashville. Not only will he play, but Ellis is expected to start the game and skate with pair mate Roman Josi. Ellis skated alone earlier this morning, but skipped the Predators’ voluntary team skate this afternoon, but was out on the ice for warm-ups looking ready to go. It’s doubtful that Ellis will be playing at full strength, but with the Stanley Cup on the line, Nashville wouldn’t want anyone else taking his place. 6/10: The Nashville Predators face playoff elimination for the first time in 2017 when they host the Pittsburgh Penguins in Game Six of the Stanley Cup final tomorrow night. Thursday night’s 6-0 Game Five blowout put the Predators’ Stanley Cup hopes in doubt, after miraculously sweeping the Chicago Blackhawks and defeating the St. Louis Blues and Anaheim Ducks each in six games as the #8 seed out west. Now, they face a do or die scenario with the franchise’s first title on the line. Unfortunately, they may have to play the most important game of the season (and in team history to date) without talented defenseman Ryan Ellis. While his absence has not been confirmed, the team has been tight-lipped about his availability over the past few days. Ellis sustained an undisclosed injury in Game Five that caused him to leave the game, missing most of the second and all of the third periods. Coach Peter Laviolette nor any other Nashville representative has commented on the nature and severity of Ellis’ injury to this point, but he did not skate at the Predator’s optional practice today. “For what it’s worth”, TSN’s Darren Dreger spotted Ellis leaving the Nashville locker room following Game Five and did not notice any obvious ailment. As of now, that is the only piece of evidence available about Ellis’ status heading into game day tomorrow. Should Ellis miss the game, the Predators would be dealt a major blow. No team in the NHL operates through their blue line to the extent that Nashville does and losing one of their “big four” at this point in the season could be disastrous. Ellis most often skates alongside Roman Josi, who would have skate alongside Yannick Weber as his right-side partner and the pairing of P.K. Subban and Mattias Ekholm would have the pressure of being a true first pair rather than Nashville’s 1A-1B dynamic. The Predators would also have to bring a cold defenseman into the mix, as all six starters have played in each of the team’s 21 playoff games so far. Anthony Bitetto would likely get the call to man the bottom pair with Matt Irwin, and did skate in 29 games this season, but hasn’t played since April 8th. More than anything, the Predators would simply miss Ellis’ production should he be sidelined by injury. The quick-skating 26-year-old scored 16 goals and added 22 assists in 71 regular season games in 2016-17, but has been even more effective in the postseason. Through 21 playoff games, Ellis has five goals and eight assists for 13 points, behind only Josi and Filip Forsberg. Ellis has been playing especially confident on the power play this postseason, and the Predators need that clutch factor if they want to capitalize on any Penguin mistakes. Hopefully, what could be the final game of the season or at least the second-to-last match-up of a highly entertaining postseason, will not be cheapened by a key piece missing out due to injury. Stay tuned for any updates on Ellis ahead of the 7:00 pm CT puck drop tomorrow night.